Have you ever wanted to write children’s books and are clueless on how to start? If you answered yes, it might be in your best interest to consider a writer’s coach. I invite you to read the interview below so you can learn about the huge benefits of having a coach . Thank you so much, Suzanne, for taking the time out of your busy schedule to do this interview. Having reaped so many benefits from working with you, I knew I had to find a way to let other inspiring authors learn about the services you provide. I also want to publicly thank you for helping me take my manuscripts to the next level. Can you tell me about yourself? What inspired you to become a writer’s coach? I’m a former classroom teacher, now a full time freelance writer, children’s author, and writer’s coach. My years as a classroom teacher are what inspired me to become a writer’s coach. I just naturally gravitate to teaching and coaching as well as writing. I like helping other people become published writers almost as much as I enjoy writing for publication myself. In fact, sometimes I think I spend too much time teaching and coaching and not enough time writing. But I’m going to change all that this summer. I’ll be leading a Book Bootcamp for other writers, but I’ll also be writing two books myself during bootcamp. How long did it take you to acquire the skills to become a writer’s coach? Actually, my years as a teacher helped me become a writer’s coach, so you might say it took me several decades to become an effective coach. My experience as a writer has also helped me become a better writer’s coach because I know some of the pitfalls writers face. As a children’s writer, I think I’m able to write materials in an easy-to-understand way, and this includes my coaching materials, so my experience and training as a children’s writer has also helped me become a good coach. Still, I’m always learning more about coaching, just as I am about writing, so I hope I will continue to get better and better as a coach and as a writer for years to come. Writing for children is extremely difficult. Can you explain what a new author like me must do in order to fine tune my writing skills? For anyone who wants to become a published children’s writer, I’d say read, read, read the type of children’s writing you wish to write. If you want to become a picture book author, for example, then read picture books on a regular basis. Go to the bookstore or the library and just read dozens of picture books. Do this every month. Also, take classes and workshops to become a better writer, or join a coaching club like the Children’s Writers’ Coaching Club, to learn more about writing for children and the business of writing for children. Finally, write and submit on a regular basis and join a critique group that includes at least a few writers who have published in the genre you wish to write. When these writers critique your work, consider their comments and suggestions carefully. You don’t have to do everything they suggest. But if they know what it takes to become published in the genre you’re hoping to break into, then listen to what they have to say. You have blown me away each time you have critiqued a manuscript for me, in fact, I got a contract for a second book with my publisher after I followed your suggestions. How does one develop such a sharp eye for details when writing for children? I don’t know how other writers develop a sharp eye for details when writing for children, but here’s how I did it (and continue to do it). First, I was an instructor for the Institute for Children’s Literature for about 10 years. The training I received from the Institute helped me learn what makes a children’s manuscript marketable. Knowing what makes a manuscript marketable is often the key to getting published, yet many writers never take the time to learn about the “business” of writing, so they never get published. Each time I review a manuscript (mine or someone else’s) I use a checklist to determine whether or not the manuscript is marketable the way it is. It could be that the writing is good, yet the manuscript is missing several elements needed to make it more marketable. Those elements are generally what I’m looking for when I review a manuscript. I was also the regional advisor for the Kansas chapter of SCBWI for several years, and I learned a lot from other writers I met back then. I even got my first book contract through SCBWI, so I always encourage writers to take an active part in writer’s associations like SCBWI. Volunteer at your local level. You’ll meet all sorts of other writers, editors, and agents you can learn from and network with. Gosh, I’ve lost count because I’ve ghostwritten several books, so those books don’t have my name on the covers and I tend to forget about them. But I think I’ve written 22 published books and my 23rd is due for release soon. I’m currently working on 2 more books right now. One is a novel, the other is a nonfiction book for freelance writers. I also have a cozy culinary mystery that I’m going to self-publish soon. Besides being a writer’s coach, can you explain what other services you offer? Well, I’m also a speaker and a writer, of course. I love to speak at writer’s conferences and visit schools, bookstores, and libraries to talk about my books and/or writing for children or freelance writing. And I provide in-service training for teachers on a variety of topics. I also often write for educational publishers. Sometimes I write books, other times I write testing materials or reading passages. I also write for small businesses — press releases, articles, create media kits, etc.. And I also do some editing and consulting. As the Working Writer’s Coach, I offer instructional materials – including teleclasses, e-courses, and audio files — to help people learn to write for publication and/or start their own freelance writing business. Well, for anyone reading this who wants to become a published author, I’d say, just start small. You don’t have to change your entire life and write for hours and hours every day to become a published author. You just need to write on a consistent basis. Even 30 minutes a day adds up. If you only write one page a day, at the end of a year you’ll have a book! So don’t make excuses. You can become a writer if you really, really want to. Just get started! Then find the help you need to make sure the manuscript you’re writing will be marketable! Please tell the readers where they can find more information about you and your services. Visit my coaching website at http://www.workingwriterscoach.com or my author site at http://www.suzannelieurance.com and to find out more about the Children’s Writers’ Coaching Club, visit http://www.cwcoachingclub.com — You can also find me on Twitter at http://www.twitter.com/writerscoach and Facebook. Read more: http://blogcritics.org/books/article/interview-with-suzanne-lieurance-author-and/page-3/#ixzz1NwXqXqOMas Twitter and Facebook. After reading and reviewing The Fear Principle, I could not wait to interview the author. I wanted to learn as much as possible about the inspiration behind such a well written and suspenseful book about people who must learn to face their fears. Please join me in welcoming B.A. Chepaitis. 1. Can you please tell me about your background? I was born and raised in a small town in upstate New York, in a house full of Lithuanian and Italian immigrants. My parents believed that the mind was the best toy in the world, and they encouraged me and all my siblings to read, to explore science, to always ask questions. Our house was also filled with music, which probably explains why my writing often works with sound as much as sense. 2. How long did it take you to finish writing The Fear Principle? This novel was a short story first, and when I had an editor’s interest in seeing it as a novel I had to finish it rather quickly. Within two weeks, with lots of all-nighters. But then my first draft process is always fast, and my editing is always slow. 3. I love your style of writing, how did you develop this prolific way of writing? As I said, a lot of my writing style comes from playing and listening to so much music. I can clearly remember sitting at the piano and thinking that I wanted to make words do what music does — give readers a direct experience of emotion. The characters, such as Jaguar Addams, come from growing up with strong-minded people who said what they thought out loud. In particular, the women in my family were very outspoken. In fact, my Italian grandmother marched with the Suffragettes. 4. There is so much detail in the plot of The Fear Principle— how did you come up with these ideas? I don’t think I ‘come up’ with the ideas so much as I ‘listen’ for them. Sometimes that listening is internal. There’s an image or idea bubbling up inside me that suddenly makes itself known. That’s how Jaguar appeared. Other times there’s situations in the world that grab my attention, such as our culture’s fascination with serial killers, and our overcrowded prisons. When two such ideas meet, you have a novel! 5. Do you write from an outline? Outlines are way too linear for me. I spend a lot of pre-writing time daydreaming about my characters and their situation, and making notes on random pieces of paper. Often I lose the notes, but once I’ve written them down they stay with me. By the time I’m ready to write, instead of an outline I have the book inside me, as a sort of movie of the mind. 6. Thank you for allowing me to interview you, is there anything else you would like to share? What are you currently working on? I’m continuing with Jaguar’s series, writing the sixth one — A Strangled Cry of Fear. I’m also shopping this in script form, because I think this series is suited to that medium. I’m also writing an unrelated book of nonfiction and an unrelated fantasy novel. As you can see, I like to keep busy. If anyone would like to know more about my work, I hope you’ll visit me and Jaguar on Facebook, or stop by and check out my website. Information for that is below! You can follow Barbara on her virtual book tour with Pump Up Your Book. Barbara Chepaitis is the author of eight published books, including The Fear Principle, the critically praised Feeding Christine and These Dreams. Feathers of Hope, her first nonfiction book, is about Berkshire Bird Paradise and the human interaction with birds. She’s working on a sequel about Eagle Mitch, a bird she helped our U.S. troops rescue from Afghanistan. 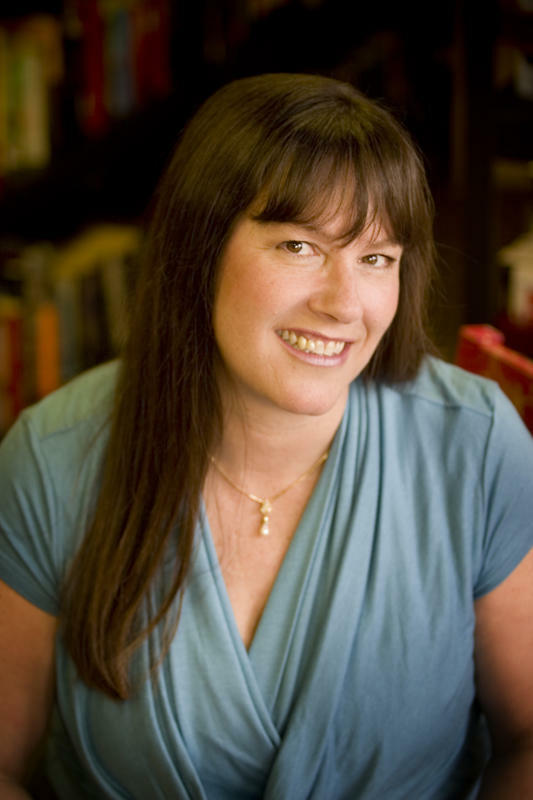 Barbara is founder of The Snickering Witches, a storytelling trio, and faculty coordinator for the fiction component of Western Colorado’s MFA program in creative writing. I love reading books that draw you in right away. This is one of the reasons I enjoyed reading The Fear Principle by B.A. Chepaitis. I was hugely impressed with the author’s use of language. She comes across as a highly intelligent person. The author did an outstanding job creating a telepathic world which is totally very different from a normal world. The fast-paced plot compelled me to finish the book in two days. I really liked the main character Jaguar Addams. I especially loved her motto: “See who you are. Be what you see.” The lesson to be learned is we can’t help who we are. Our parents shape who we become. In the case of Jaguar Addams, life threw her a few curve balls. Jaguar must find a way to face her fears. She works in a futuristic prison system, and her job requires her to help former criminals face their fears telepathically. I thought Jaguar did a great service by helping Clare Rilasco confront her fears. I thought it was Jaguar that challenged Clare. I did not particularly like Clare. Unlike Jaguar, I thought she was very feeble. But Clare redeemed herself at the end. I thought that was very honorable of Clare. At that point in the story, I gained some respect for her character. The only thing I did not like were the death scenes. That did not resonate well with me. I do have to give the author credit for making my skin crawl with disgust as she did a good job with these descriptions. To learn more about the book and author and to read an excerpt, click the banner below. What inspired you to write THE WEAVER? The Weaver’s main character, Mary, is embarrassed by the fact that she is taking a beginning storytelling class for the third year in a row. She has to figure out a way to overcome feeling inferior and to improve her skills. 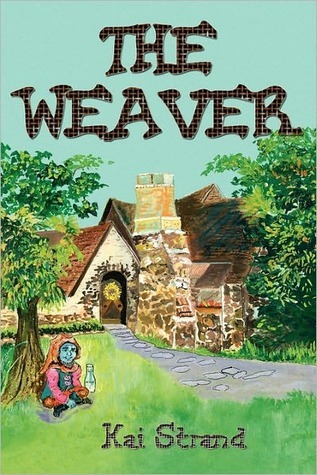 I wrote The Weaver as an inspiration for children who feel like they aren’t as successful as other kids or who don’t feel they fit in. I’ve always loved to write fiction, but I took a really big detour in life before I decided to attempt to make a career out of it. I spent a number of years in middle management in corporate America (service & support). I’ve also given a number of years in the non-profit world (administration & operations). So, obviously I’m nice and I’m organized. My husband and I have four kids. It was while encouraging my oldest child to read that I fell back in love with fiction and started writing regularly again. I feel so bad when people ask me this. I really don’t know. I don’t remember when I started on this story. I wrote about 2/3 of it and then let it sit around for a long time before finally making myself sit down and finish it. I wrote a whole other novel while this one sat on my hard drive incomplete. Yes, I am blushing. Tell about your journey to publication? Kai Strand’s debut mid-grade novel The Weaver is a must read. The story is about Mary Wordsmith, whose wish is to be able to weave a tale just like her mother. Mary is a typical teen who wants to be well liked and respected. In her quest to be like her mother she meets a peculiar blue man who is ready to help her achieve her greatest desire. Mary, her self-esteem at an all time low, allows the little blue man to talk her into granting her wish. Much to her dismay, things did not turn out in her favor. Mary is baffled when there is no major improvement in her storytelling. She feels betrayed by the blue little man. Things get even more complex when trinkets start to appear after practicing weaving a story. You have to read the book to find out what happens to Mary. Will her storytelling improve? Will the trinkets continue to appear? The story held me captive; I had to finish reading the book in one sitting. Kai Strand is a master at storytelling. Her book is very unique in that adults and children can learn a very valuable lesson. Each one of us is special and we should strive to celebrate and accept each other for who we are. I also loved the way Mary’s friend gives her unrelenting support. We all need friends to support us in the times of our greatest challenges. As a polyglot I love learning about other cultures and languages. Recently I had the honor to read and review Noa Nimrodi’s book Birds Can Fly So Can I. After learning that the book was originally written in Hebrew I wanted to find out more about this intriguing author. Please tell me about your childhood. Where did you grow up? I am the first born in a family of four kids. When I was 4 to 6 years old I spent two years in Pasadena California with my parents and sister, during that time my brother and younger sister were born. A few years later we spent another two years in the States, this time in Charlottesville Virginia, where I attended fifth and sixth grades. Both these periods in America were due to my father’s academic studies (until this day he is a Professor at the Tel-Aviv University). Coming back from the US for the second time we returned to Tel-Aviv. Can you explain what life was like living in Jerusalem? I left Jerusalem when I was about 10 years old, but the memories I have from those days are all wonderful ones. We lived in a neighborhood consisting mostly of families of the staff from the Hebrew University, and I recall being outdoors a lot. All neighbors seemed to be one big happy family. Did you experience any culture shock when you relocated to the United States? How long did it take you to learn English? Do you still speak Hebrew? Hebrew is my first language. I speak it at home with my children and with my husband. (and of course with all my family and friends back home in Israel). Do you have any children? If so, are they fluent in Hebrew? I have a 16 year old son, and two daughters 13, and nine years old. We have been here for less than two years. So, of course all three kids are fluent in Hebrew. As for English…My two older kids spoke English fairly well when we got here. My youngest, seven at the time, did not speak a word of English. She is now fluent, and even picked up the accent. How different is the educational system in Israel as compared to that of the United States? I would like to consider the educational system in Israel similar to that of the US, but there are quite a few differences. To name a few: The school week is six days. Sunday is the first day of the week, and Saturday is the only day off from school. The kids stay with the same group of class-mates all through school (six years of elementary, for example). The classroom is the kid’s class, and the teachers are the ones to move from one class to the other. On top of the subjects learned in the States, starting second grade, the kids study English as a main subject, and have a couple of hours a week of bible studies. What do you do for work? How many books have you authored? I have authored two books so far, the second I illustrated myself, and I am now in process of translating it to English. In College I studied Total Design (Graphic, product, interior and more). I have worked as a package designer, later on as a window-shop designer for the largest book chain in Israel (Stimatzky), which I guess got me interested in writing Children’s books. For a short period of time I worked as a kid’s furniture designer, and then decided to go back to school. Right at the time I studied Jewelry-Metalsmithing, I published my first book. During these three years of making jewelry I published my second book. A year after finishing school I was asked to teach at the same college I graduated from, and I did so up until the time we left Israel. I found that teaching someone else something you master, is even more rewarding than practicing it yourself, and it improves your own skills at the same time. What would you say to today’s youth concerning being open minded about other cultures and languages? I would like the youth to realize one simple thing: People are People, no matter what language they speak and where they live on the face of our earth. I get weekly request to do book reviews. Here is a book that was translated from Hebrew into English. It is a great read. Young children have impressionable minds; that is why it is important to expose them to well written and inspirational books. After reading Noa Nimrodi’s Birds Can Fly and So Can I, I immediately thought of the positive impact the story can have on young minds. The book invites children to dare to dream. 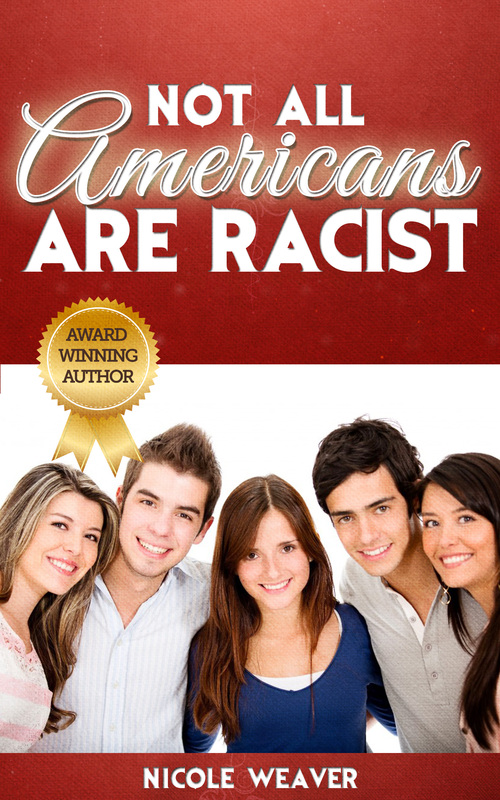 It is a book young and old will enjoy reading. The message is clear and simple: Never give up on your dream. If you do not try than you will never know whether you can. It is a book that gives hope to those that want to achieve their cherished goals. Young and old can learn that we all have hidden talents and we must be willing to take the necessary steps to put them to use. Being different is okay: Even though a giraffe is physically different from birds, he is still able to realize his biggest wish by taking flight just like the birds. The lesson to be learned is that young children comes in all different sizes, shapes and colors and they too can learn to have confidence to accomplish that which they desire the most. The joy of supporting others: I love the way all the birds and other animals rally around Giraffe to give him a grand applause. Making Friends: Often times, children have difficult time learning how to get along with others. This imaginative and creative story can be used to teach children the value of making friends with other children who may not look like them. The fine illustrations by Tamir Lichtenberg make the story jump off the page. DREAMS CAN COME TRUE IN UNEXPECTED WAYS – IF ONLY WE BELIEVE! About the Author: Noa Nimrodi was born in Jerusalem, Israel. She is the author of the popular 2004 Hebrew version of Birds Can Fly and So Can I and the author and illustrator of The Hedgehog that Wanted Pretzels, which sold successfully in Israel through several editions. In addition to writing and illustrating children’s books, Noa is a thriving designer, artist, metalsmith, and mom. In 2009 she relocated to California where she lives with her husband and three children. You can look forward to more enchanting children’s books by Noa Nimrodi. Visit her Web site at www.NoaBooks.com. About the Illustrator: Tamir Lichtenberg was born in Petah-Tiqva, Israel. He graduated with a BFA from Bezalel Academy of Art, Jesusalem. Tamir has held four successful solo exhibitions of his work, and many more group exhibitions. His artistic talent has won him five awards from the Bezalel Academy, the Janco-Dada Museum, and the Israel Ministry of Culture. Because Tamir and Noa are cousins, they share many childhood memories. One of Tamir’s fondest recollections is of Noa teaching him how to draw the same chicks that now appear in Birds Can Fly and So Can I. Visit Noa’s Web site at http://www.NoaBooks.com.